Core Workstation (MSCL-XYZ) – Geotek Ltd. 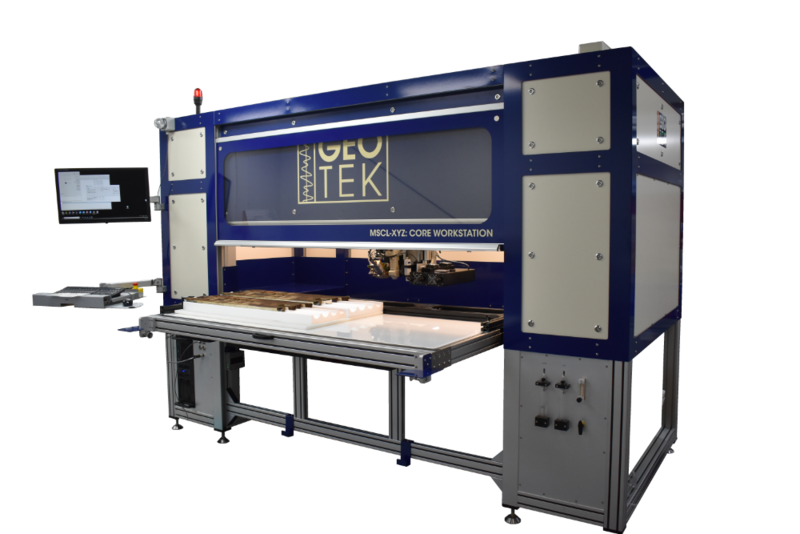 The Geotek Core Workstation (MSCL-XYZ) is a unique automated multi-core logging system for XRF, core imaging and various other surface core measurements. Multiple core sections (up to six 1.5 m core sections), or core boxes are loaded into the workstation, which are then logged in a single operation. The core workstation uses a unique core tray which pulls out to the user to aid core loading, and a shielded screen protects the user whilst giving full visibility of the logging operation. The ability to load multiple cores at once is particularly valuable in a repository environment or where large core throughput is required without user intervention. As user input is limited customers and clients will not need to hire numerous technicians to consistently load core throughout the day, and allow multiple sections of core to be logged through the evening. Therefore a 24 hour core logging operation is more achievable using a Geotek Core Workstation without the need for night shift technicians thus saving customers money in the long term. It is common for core repositories to utilise handheld XRFs, ASD Labspec spectrometers and high resolution cameras. However, typically these measurements are acquired by hand at low resolution intervals, which is a hugely time consuming process. The Core Workstation can integrate all of these sensors onto a single platform and the automatically acquire these multiple datasets at co-registered depths downcore. A Core Workstation can therefore free up staff from laborious manual measurements allowing them to focus on data analysis, and increase productivity through a core repository, institution, or industrial laboratory. XRF Core Workstation (MSCL-XYZXRF) with an ultra-sensitive Geotek XRF sensor, point magnetic susceptibility and Geoscan V linescan camera with visible and UV light box. The unique design of the Core Workstation (MSCL-XYZ) allows the user to create ‘maps’ of surface properties from either areas of interest, or from whole core surfaces. Any of the Geotek sensors can be used to create surface maps of properties to discern the spatial distribution of elements, colour, or magnetic properties. Elemental surface maps binned at a 1 mm x 10 mm resolution for various elements. 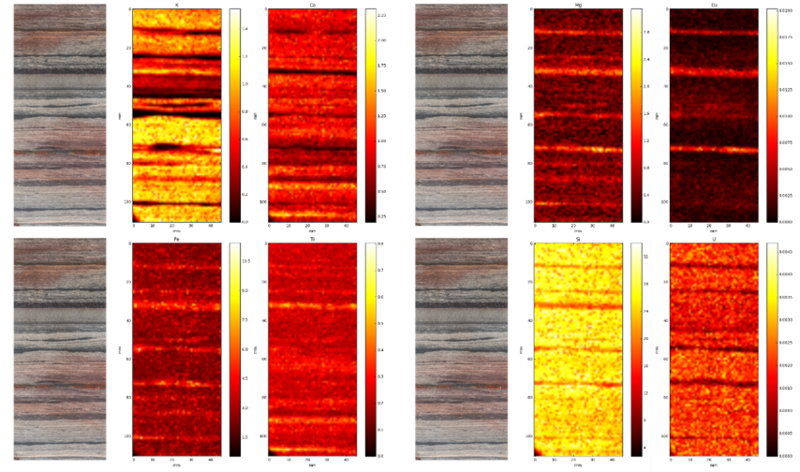 Data acquired from a ultra-sensitive Geotek XRF sensor.